Are you one of the 46% of employers Manpower Group’s Talent Shortage Survey identified as struggling to fill vacancies with people with the right skills? With 25% of our workforce over the age of 50 and heading to retirement, it’s going to get even harder to find skilled workers. It is likely to be more expensive as well as businesses compete to find workers and make their workplace more attractive than their competitors. Avoid the competition – plan head and tap into the emerging pipeline of fresh talent from schools. Solve future skill shortages - students who know you will be more likely to choose to work at your business when they leave school. Save on recruitment costs - you can mentor young people that you want to hire — saving considerable money on advertising and recruitment. Get the right skills - you have the opportunity to encourage students to choose NCEA subjects that best fit with the skills you need, before students choose their NCEA subjects at Year 11. Get work ready employees - build employability skills, such as teaching work experience students good time management. When they come to work with you, you won't use up valuable time teaching them how to behave at work. Get fresh ideas for your business - when you interact with digital natives you can get insight into new ways of working, the latest technology and ideas for new products. 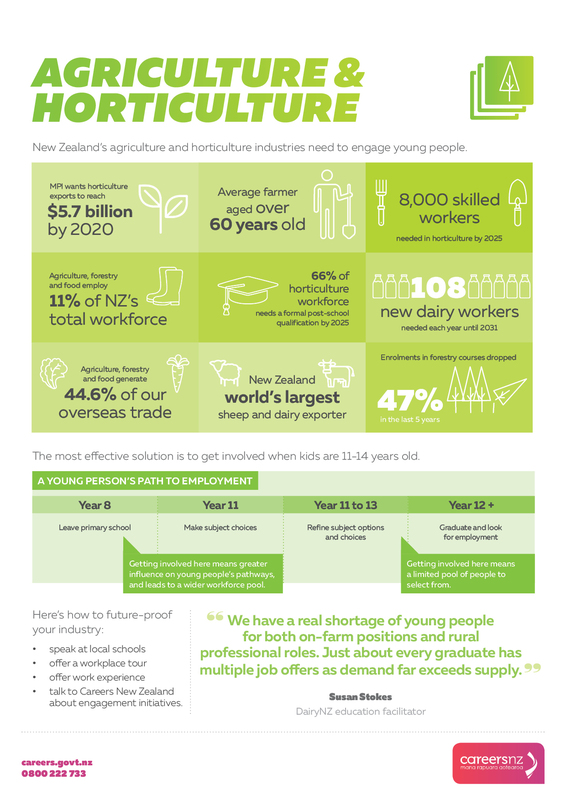 Is New Zealand's ageing population and economic growth going to cause problems finding the right staff in your industry?